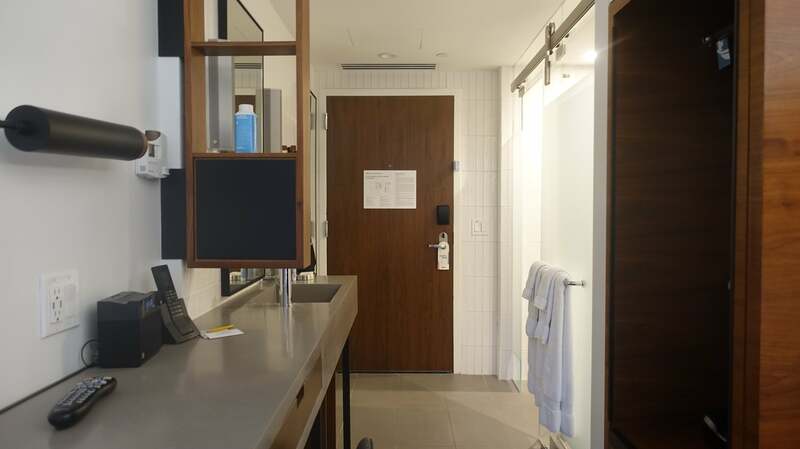 The Arlo NoMad is a micro hotel with small rooms but larger common hangout spaces. 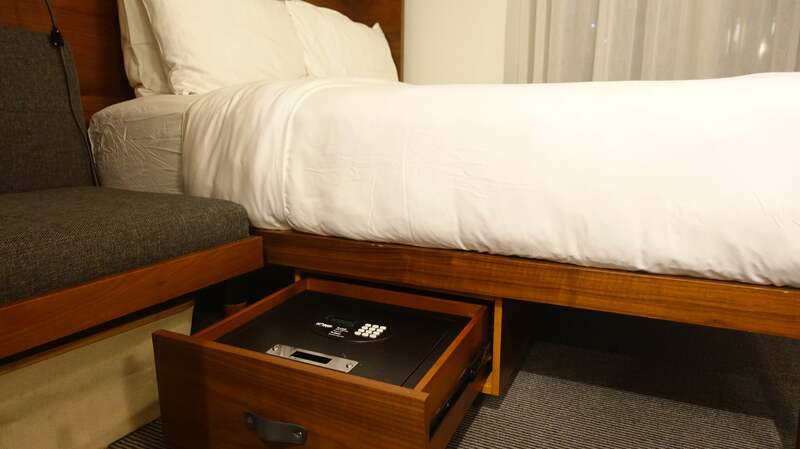 Pros: comfortable beds, friendly staff and cool amenities. Cons: expensive, small rooms and a resort fee. 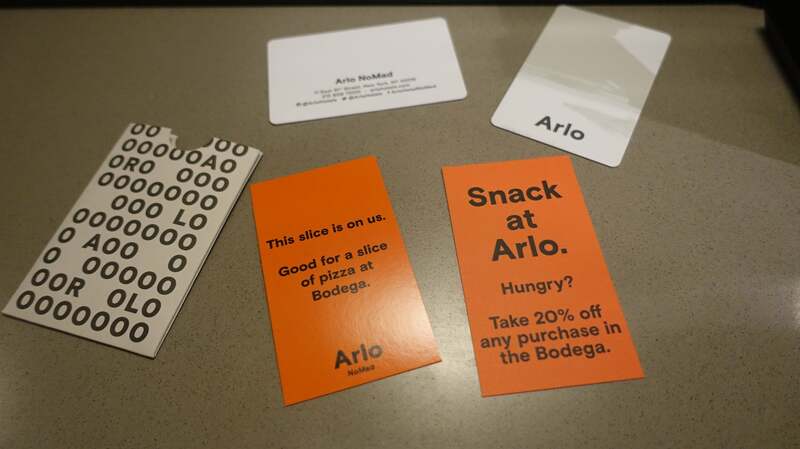 The Arlo Hotel brand arrived in New York City a couple years ago. 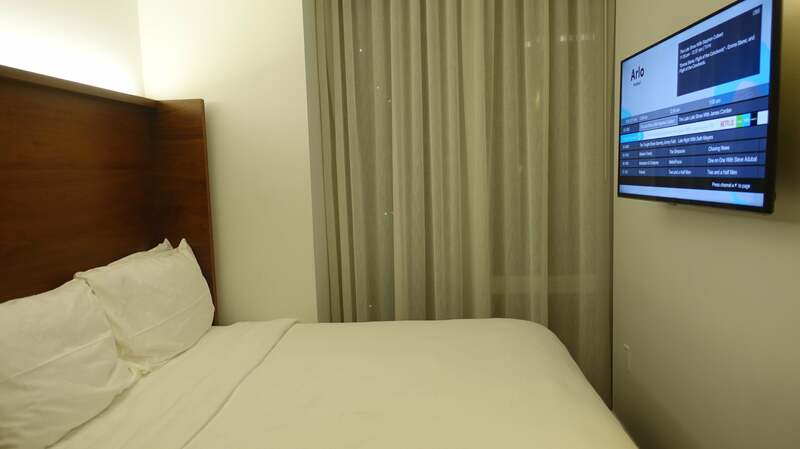 It’s not the first of its kind in the city (the micro-hotel idea has been popular for years in countries like Japan), but the concept makes sense for hoteliers, considering how expensive space is in NYC. Considering the Arlo brand currently has two locations with a third opening in Midtown in 2019, it’s clear the concept has been successful. The idea is that when you visit Manhattan, you don’t spend much time in your room anyway, so it’s OK if the corners of your bed touch the walls and space is limited. 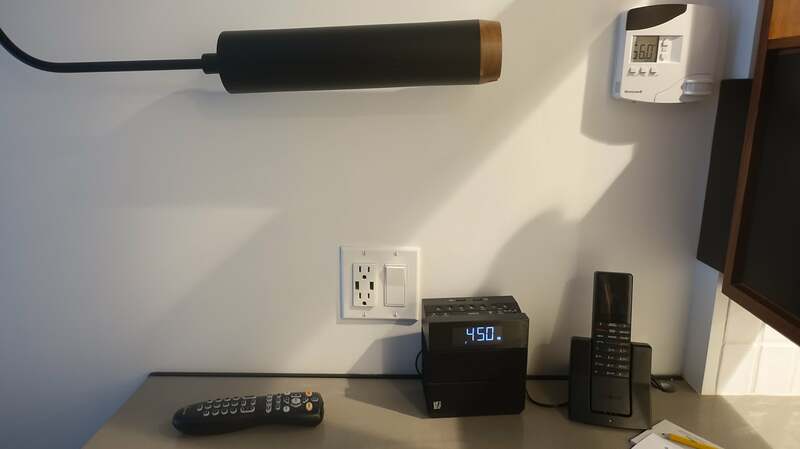 I tested out both New York City Arlo properties, in Madison Square North (sometimes called NoMad) and Soho, to find out: Can one comfortably stay in a micro hotel? Or better yet, is it a good fit if you aren’t a millennial? I booked a queen room at the Arlo NoMad using my Capital One Venture Rewards Credit Card to get 10x miles on purchases made at Hotels.com/Venture. I wondered if booking a 151-square-foot room for $600 per night plus tax was crazy, but I didn’t have much of a choice. Hotel rates around the city were sky high (in some cases, close to $1,000 per night), because the United Nations just happened to be in session the same week I was in town. Apparently, millennial living wasn’t cheap! Depending on your dates, though, you can sometimes snag a room for around $300 to $400 per night when the UN is not in session. 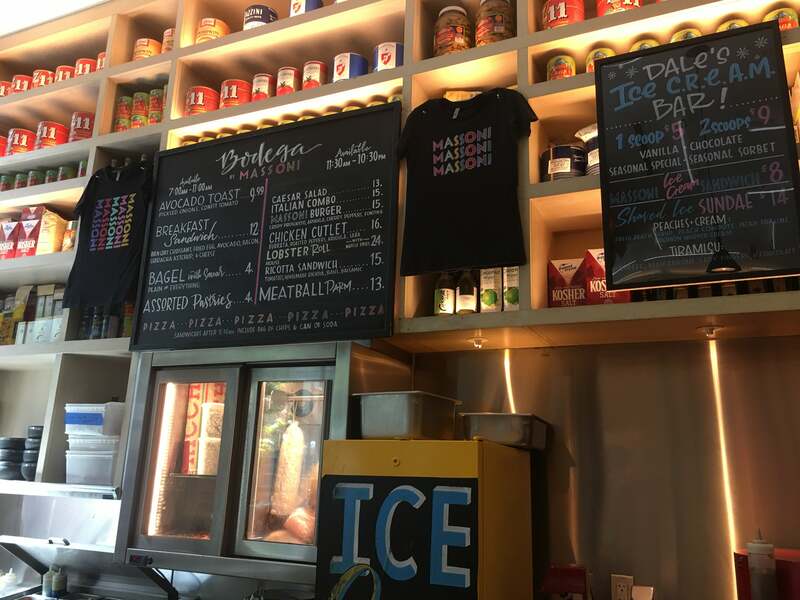 Thanks to my VIP member benefits at Hotels.com, I had extra amenities: a room upgrade, 20% off food and beverage at the Bodega (the snack and coffee bar in the lobby) and a free slice of pizza (score). It’s definitely important to factor in the $29 “urban fee” on top of the room cost per night, which, besides the aforementioned perks, included things like access to the roof bar, complimentary bike use, free New York Sports Club passes, a Tone Up Club class and a daily complimentary wine happy hour. NoMad was a perfect neighborhood for travelers hoping to get a taste of New York’s cultural scene. The area has become much trendier in recent years, with hip restaurants and bars popping up nearby. Everything I needed was a stone’s throw away: shops, bars, restaurants and several subway stops. 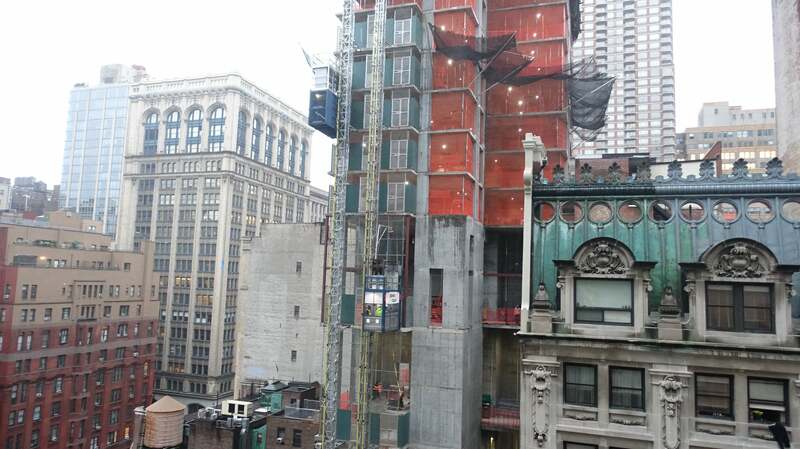 The hotel was also close to tourist attractions and both Midtown and Wall Street, which made it ideal for both leisure and business travelers. I arrived at Arlo NoMad close to midnight, bedraggled and bleary-eyed after a flight from Europe that had been delayed for close to five hours. I couldn’t have had a nicer welcome. A friendly staff member greeted me and ushered me to the reception desk. All the employees had a youthful, casual manner, so if you’re looking for a formal welcome, this isn’t your place. But this was a welcome that made me feel right at home. The lobby, though small and a bit dark, had funky, industrial seating and bold, colorful art. The vibe was youthful, but not tacky. Everything was chic but approachable. There were outlets all around the lobby, so you you could charge while you hung out. My casual welcome included an explanation of my benefits for my Gold status on Hotels.com, and I was happy to hear I’d have a room upgrade to a queen room with city view on a higher floor. 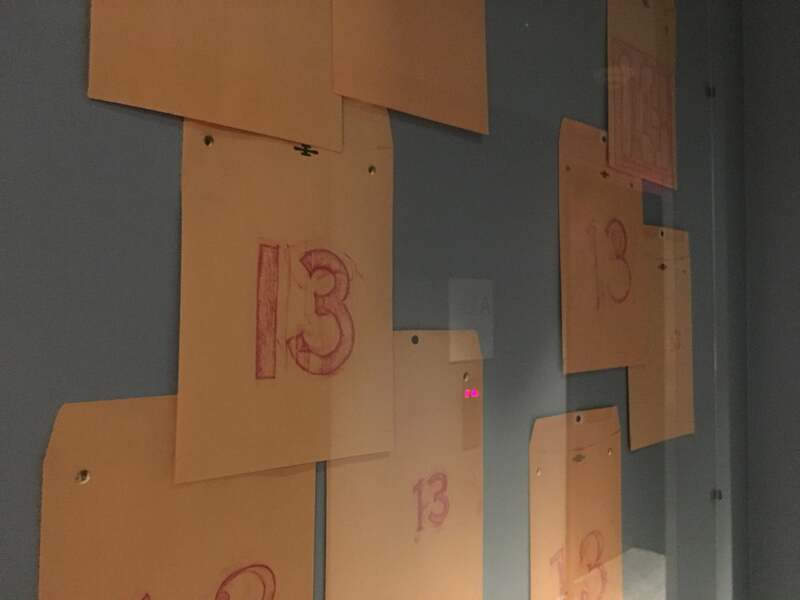 The hotel was fully booked, though, so the highest floor available was the 13th. The front-desk staff accompanied me to the elevators with my luggage and sent me on my way. The elevator system was a little annoying. You had to select your floor on a screen and then swipe your card before getting in the elevator. Many people held up the elevators because they didn’t realize they had to do this, trying to select their floors directly inside the elevators and then rushing back out when it didn’t work. 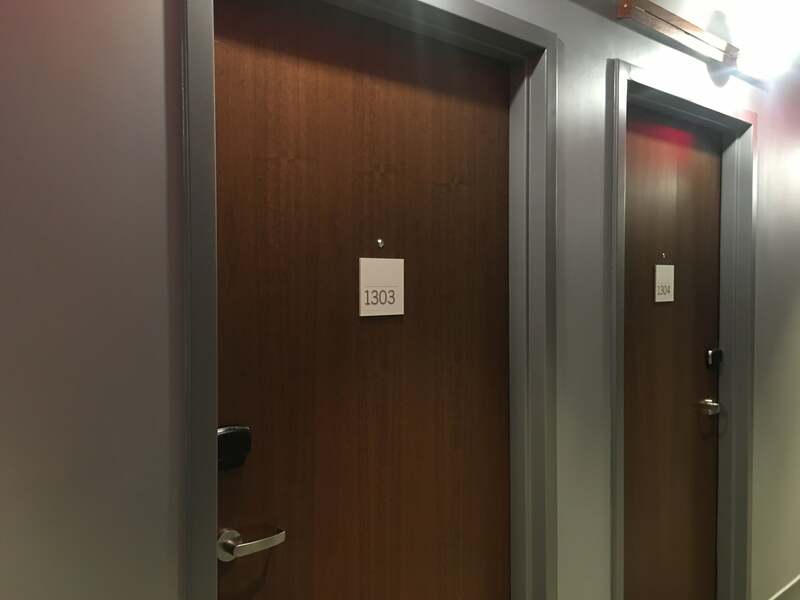 My room was 1303, one of 250 in the hotel. Immediately upon entering, I spotted the toilet. While this seemed a bit odd at first, I did find the room layout to be comfortable. I walked down small hallway with a full-length mirror, sink and shelving. A small but adequate desk and chair were on the right. 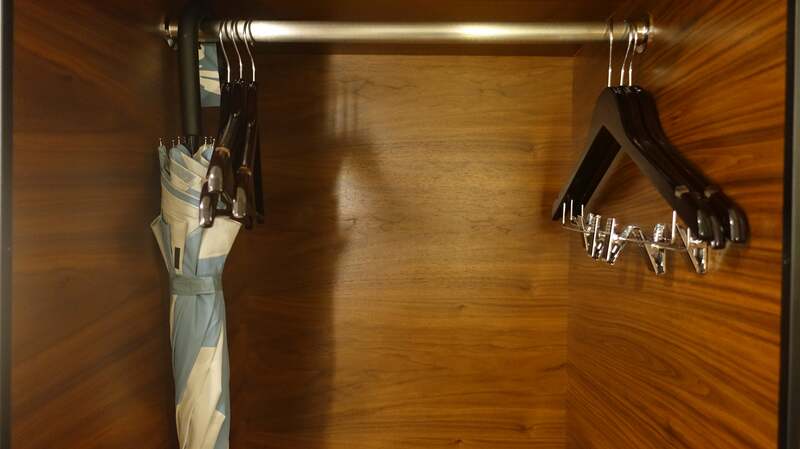 A small closet with hangers, a mini-fridge and a cupboard was past the bathroom. 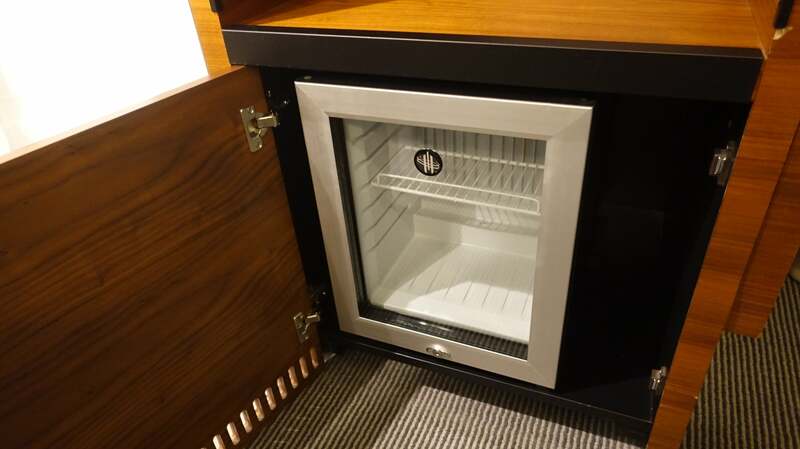 The mini fridge wasn’t stocked with anything, which made it easy to store leftover food and any beverages I had with me. 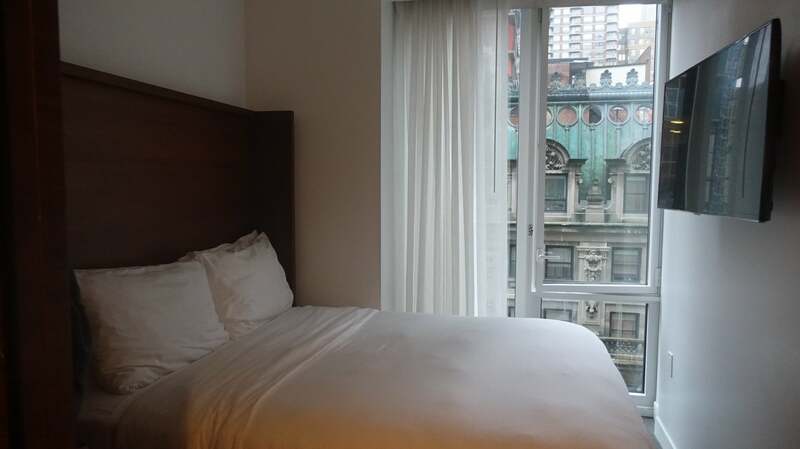 The bed occupied the end of the room, in front of a floor-to-ceiling window with average city views. The bedding and pillows were soft and inviting, which helped me get over my jet lag (along with the manual blackout shade). A TV was on the wall across the bed. It had plenty of channels, and I could have also hooked up my Google Chromecast had I wanted to. 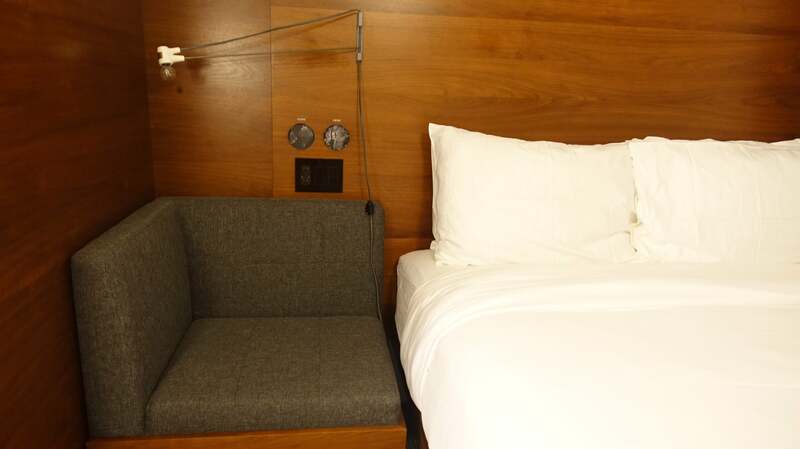 The room had plenty of outlets, including two on each side of the bed, as well as ample lighting. Hooks were also near the bed, in the bathroom and by the sink, which was useful. 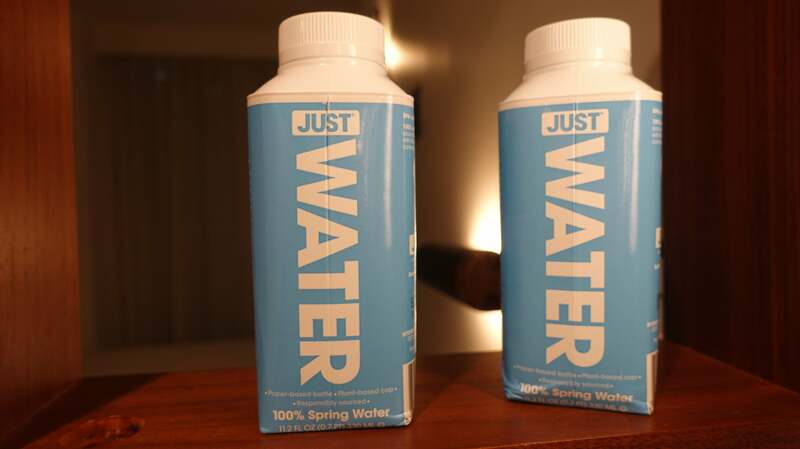 Two free cartons of water waited near the desk. 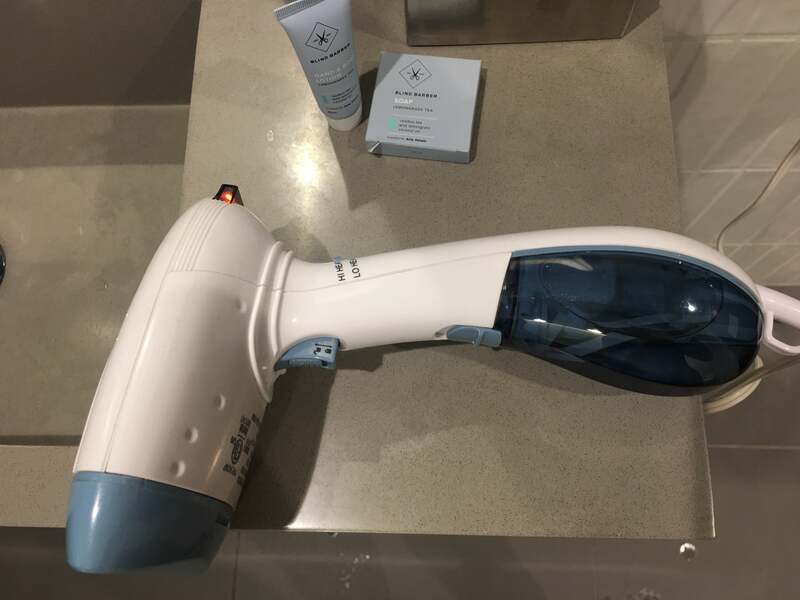 A powerful hair dryer and a steamer were hung up in cloth bags by the sink. 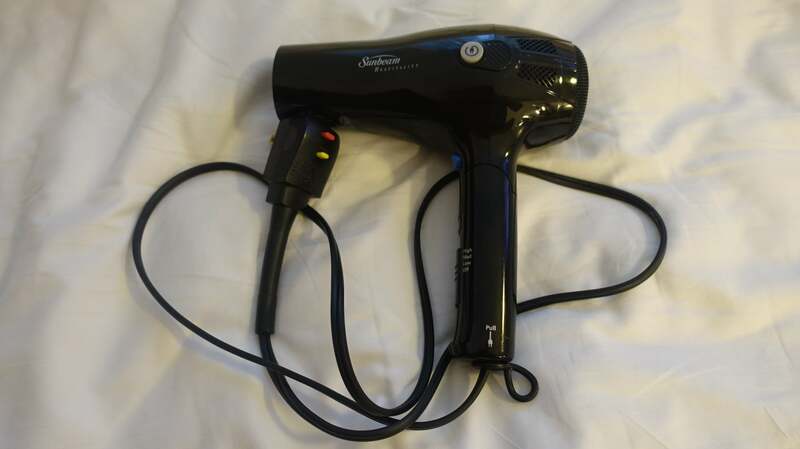 The steamer worked very well, and I actually found it to be less hassle than an iron. The room also had a small chair next to the bed, which I used as a bedside table. Obviously, the room was tiny, which I expected, but the Arlo did a good job of not overstuffing the furniture in. 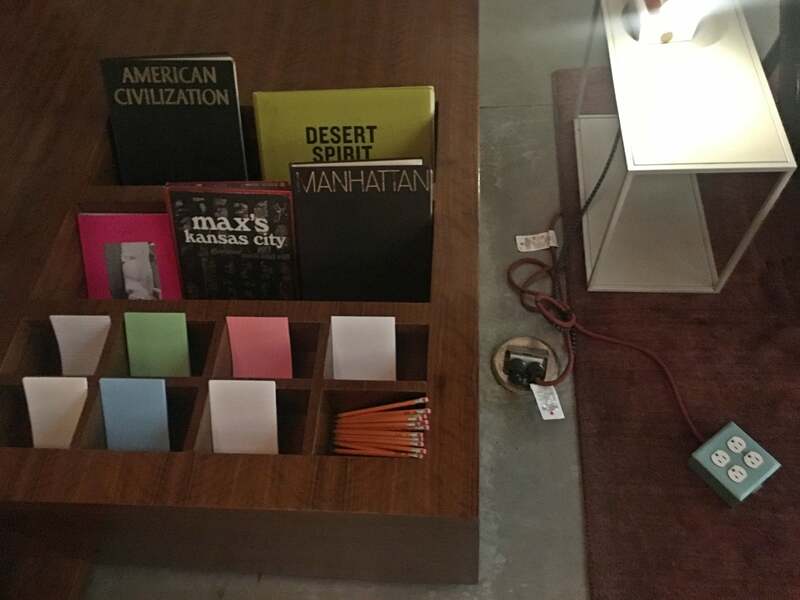 Speaking of the furniture, it was simple but industrial and cool. I usually love when hotel rooms have their own temperature controls, but this A/C system was noisy and constantly shut on and off with weird buzzing noises, so I just left it off most of the time. Once I discovered that the window opened about 4 inches, I ended up opening that up for fresh air. The city noises didn’t bother me, but they may bother light sleepers who choose to leave the window open. The bathroom was larger than expected. While the sink was really part of the hallway and not in the actual bathroom, I didn’t find this to be an issue, and it actually reminded me of old apartments in Paris. 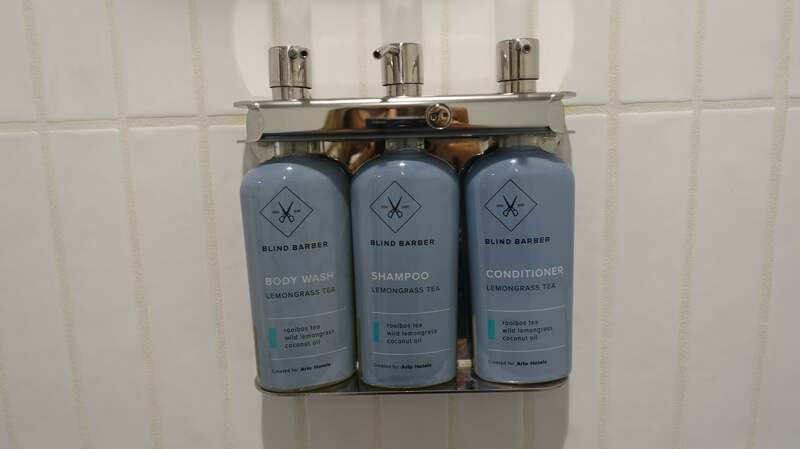 The rainfall shower was of average size and had Blind Barber amenities. The lemongrass scent smelled nice and light. I appreciated that the bathroom seemed very separate from the sleeping area (minus that sink, of course). 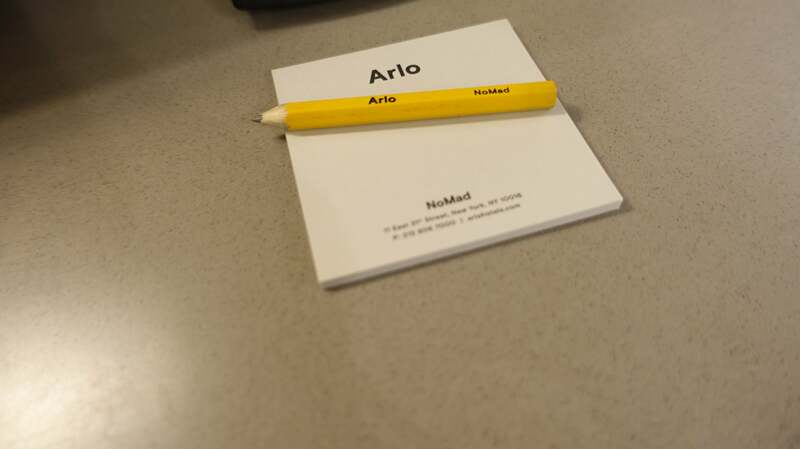 The desk had a small chair and Arlo-branded Post-its. A small shoe rack was below the sink and desk area. I found the room cozy and comfortable for my three-night stay. I think for longer stays it could get a little tight, mainly because I had a lot of luggage and there wasn’t much space to prop my suitcases open. It would also be a tighter squeeze for two, especially if you both had a lot of luggage. But if you go along with the hotel’s concept, you shouldn’t be spending much time in the room anyway. The only thing I felt was a huge miss in the room was the lack of a coffeemaker. The hotel didn’t even have room service, so I was left coffee-less each morning while getting ready. The rooftop bar The Heights was an amazing spot. 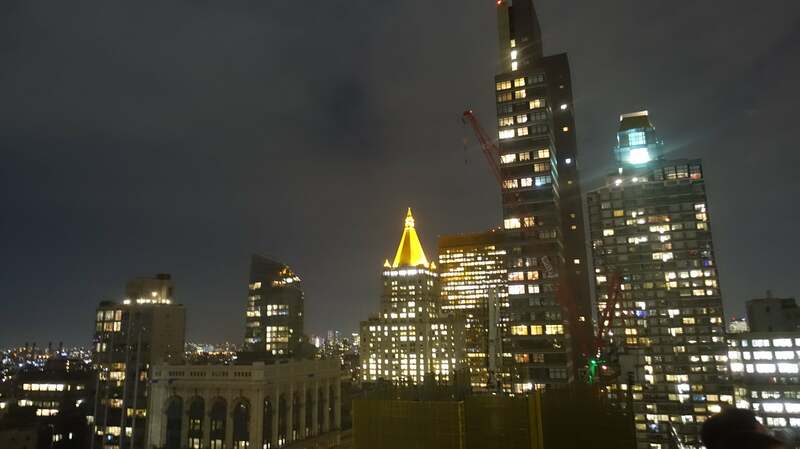 I went up there briefly one evening after a big rainstorm, so it wasn’t crowded, but I imagined it would be a real scene when the weather is nice. It was spacious and the views of the Empire State Building and beyond were fantastic. A small section of the rooftop had glass, offering vertigo-inducing views. I would have loved to have spent more time there, but it was rainy for almost the whole duration of my stay. Since the Arlo didn’t offer room service, if I wanted a coffee, food or snacks, I had to get it myself. The hotel lobby featured the Bodega coffee and snack bar, where I went down one morning to buy an egg-and-avocado croissant and a latte. 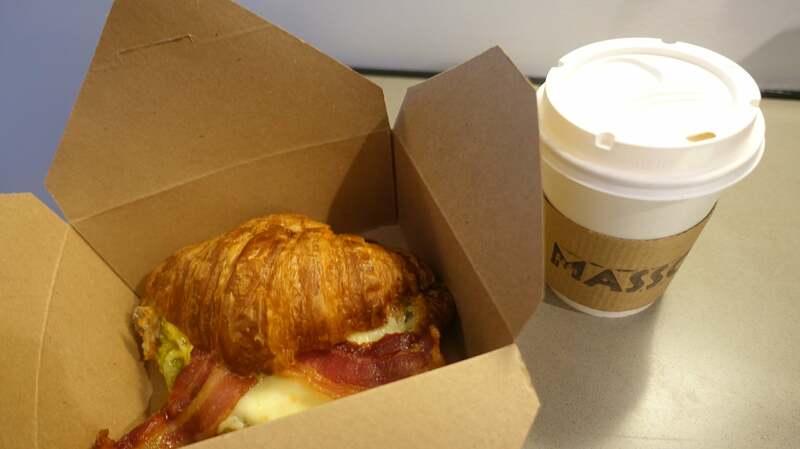 Both were tasty, but $15 was overpriced for a takeaway breakfast. When I asked if they would deliver my meal to my room, they said no. So, I waited about 20 minutes for my breakfast to be prepared and took it up myself. 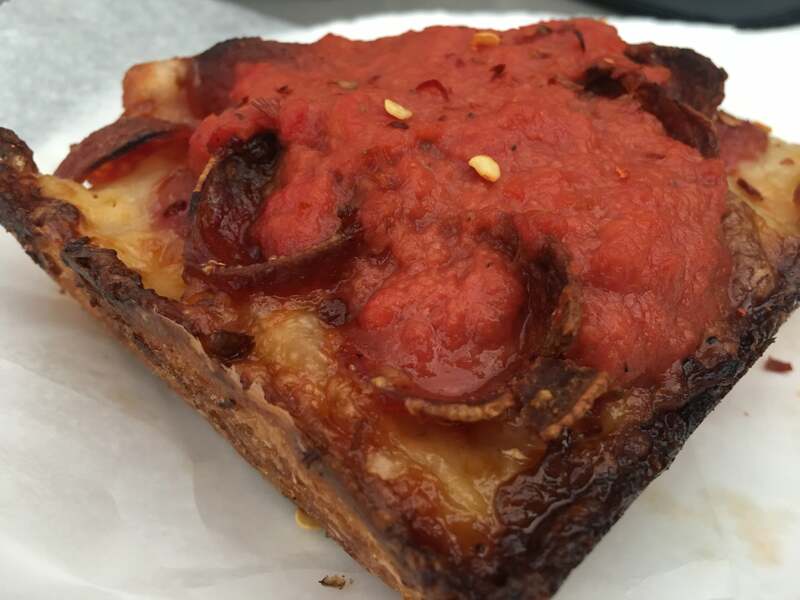 I happily used my coupon at the Bodega for a free slice of pizza, and it was absolutely delicious. I almost forgave them for not giving me free coffee, since free pizza might be even better. 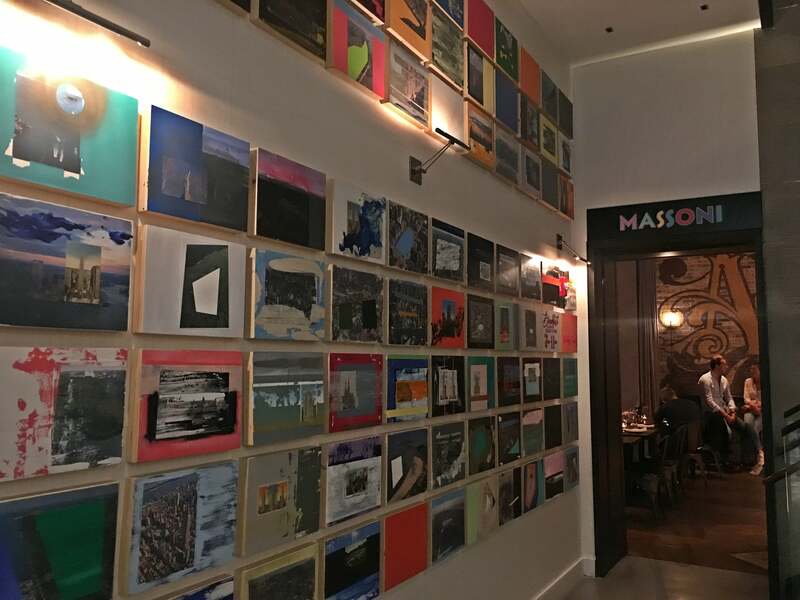 The Massoni Bar and Restaurant was also in the lobby, available for sit-down meals. 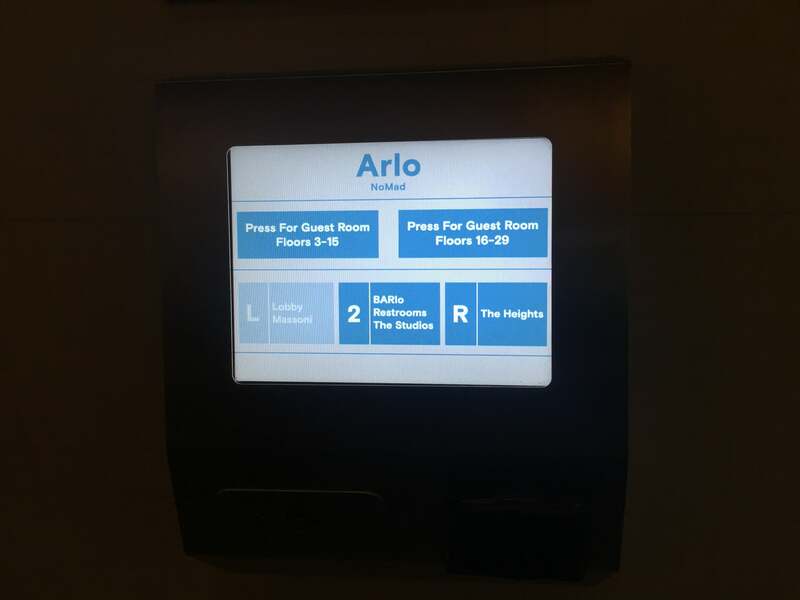 The Arlo featured a complimentary wine happy hour from 5:30pm to 7pm every day in the bar on the second floor. 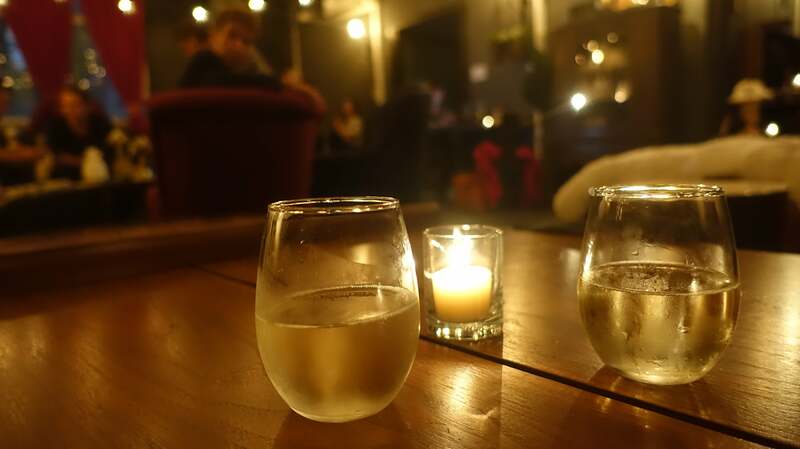 One evening, I enjoyed a nice glass of prosecco with a friend for free. 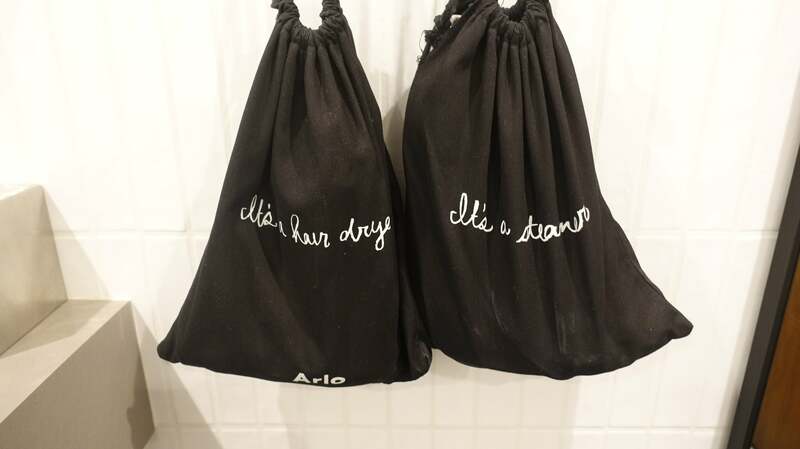 You simply showed your room keys to get the wine, choosing from red, white or bubbly. When I asked about the Tone Up classes that were advertised around the hotel, I realized the hotel itself didn’t have a fitness center. Instead you could attend various yoga and fitness classes at the nearby Tone Up studio, as well as visit a branch of New York Sports Club, for free. You could also borrow the complimentary bikes. 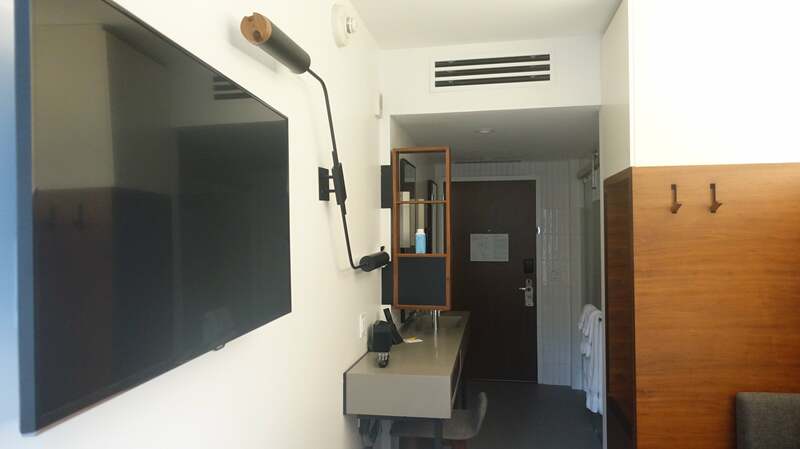 It’s definitely worth nothing, though, that the hotel charged what they call “an urban fee.” It was a glorified version of a resort fee and not cheap: $29 per day. So while I wasn’t able to take advantage of the “free” bikes and the “free” fitness classes, I essentially paid $29 for my “free” wine. Wi-Fi was complimentary and worked well through the entire hotel and in my guest room. Staff members were a highlight at the Arlo NoMad. At an unpretentious spot where staff wear chambray button-downs and khakis, you can expect smiles and friendly banter, but nothing formal. Staff were happy to delve into details about the various offers the hotel had, like complimentary wine hour, rooftop bar or fitness options, and kindly extended my checkout by an hour when I asked. 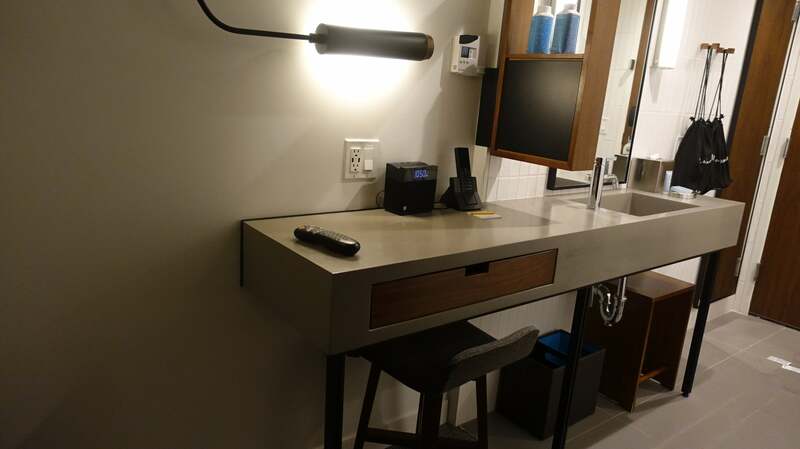 If you plan to spend most of your time outside the hotel room, the Arlo NoMad is the perfect place to stay. With a convenient location, fun amenities and friendly staff, visitors (especially you’re flying solo) won’t mind the small room size. I just wish the Arlo would add a coffeemaker to the room or allow you to order coffee or room service. But I did get free wine and pizza, which I guess made up for the lack of coffee. 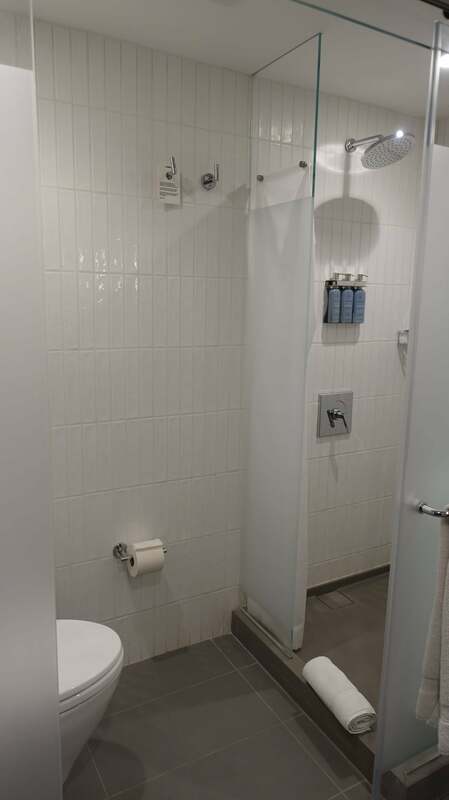 However, know that your “free” services aren’t really free, and be prepared to pay the fee at the end of your stay on top of what already may be a steep room rate.